Scientist and scholar Frank Legge passed away on October 20th 2016. Frank was a leader of the international 9/11 Truth Movement. He had been a co-editor of the Journal of 9/11 Studies and a founding member of both Scholars for 9/11 Truth & Justice and Scientists for 9/11 Truth. His contributions to research into 9/11 will be remembered as among the most important in history. Frank had a long and fulfilling life before and beyond the events of 9/11. He was a husband, father, and grandfather as well as a farmer, pilot, research scientist, and entrepreneur. After obtaining a Diploma of Agriculture (Longerenong, Victoria, Australia), Frank spent his early years as an agricultural employee, then a contractor, in the state of Queensland. He then obtained a “conditional purchase” block of virgin bush in Western Australia, which he cleared and developed as a sheep and grain farm. On completion of this, Frank moved to Perth and enrolled at the University of Western Australia. During this period he obtained a pilot’s license and acquired a share in a plane, which was useful in enabling him to easily visit and continue operating the farm. 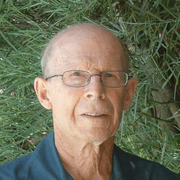 On graduating with a Ph.D. in chemistry, in 1983, Dr. Legge worked as a research officer for the Department of Agriculture for a number of years. This included research into the manufacture and use of biodiesel. He was also involved with the Australian Merino Society in the development of their sheep-breeding index. With a colleague, he then formed a company, Solar Track Pty Ltd, and embarked on a project manufacturing solar tracking devices, based on a patented concept they developed in conjunction with the Department of Agriculture. Lastly he moved to consulting. Prime Minister John Key says it would be naive to think an attack similar to the Sydney siege couldn’t happen in New Zealand. Three people, including the gunman, are dead after the Martin Pl siege ended in a volley of gunfire shortly after 2am local time today (4am NZT). “I think you have to say yes,” Key said. In a landmark security speech last month, Key revealed government agencies were monitoring up to 40 possible foreign fighters within New Zealand because of their engagement in “extremist” behaviour. “We know that as part of those 30-40 people we identified on the first list, that there are people who spend a lot of time on the internet, basically delving very deep into the messages and the propaganda that is coming out of ISIS [Islamic State],” he said. Last week the “foreign fighters” bill passed into law, 94 votes to 27. It followed a similar tightening of security laws in other countries including Australia and Britain. The Countering Terrorist Fighters Legislation Bill aims to tackle home-grown terrorism, with the Government arguing the rise of the Islamic State (IS) terror group in the Middle East increased the risk of an attack here. The new law allows warrantless surveillance for 24 hours, and includes powers to cancel passports for up to three years, when authorities suspect terrorist activities. Key said the events in Sydney only showed how dangerous IS was, even if it wasn’t directly involved. 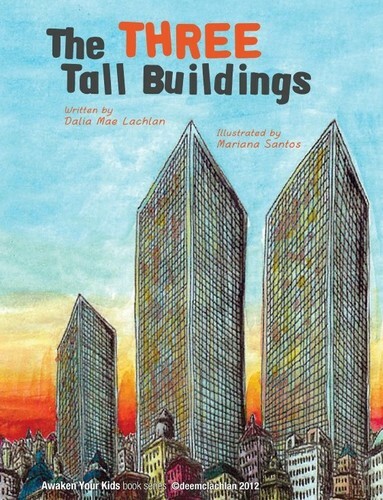 That one day that changed everything – when Building 7 collapsed in almost perfect free-fall – it was the day ‘they’ huffed and puffed, and ‘pulled’ the baby building down. Unlike the other books from the Awaken series which have comic illustrations and are A4 in size, this book – smaller and A5 – has hand painted illustrations by a young art student in Lisbon, Mariana Santos, and words by Dalia Mae Lachlan. The Assad regime has dismissed as a ”barefaced lie” US and British claims it might have used chemical arms, with staunch ally Russia warning against using such fears to launch a military intervention. The developments come with at least 10 people have been killed in shelling on the town of Douma, north-east of the capital Damascus, and renewed fighting in other areas on Saturday. Mr Fraser situated his warning in the context of the global strategic development following the 1990 fall of the Iron Curtain, which he recalled presented an opportunity for global economic development to build a “fairer and more just world”. Instead, the opportunity was “brushed aside”, and NATO [under Anglo-American control—Ed.] “behaved as if the Cold War was still on” and aggressively encroached on Russia’s sphere of influence. He added, “We should also note the recent report published by the Centre for Strategic and International Studies which feeds off a close relationship with the United States Defense Department. It may not be American policy yet, but the CSIS report points clearly to the direction of policy. It is worth looking at the extracts concerning Australia. They are written as though we are a strategic colony, taken for granted, total support for whatever the United States may do. “How will the government ensure that no operations of the Joint Defence Facility Pine Gap contribute to a nuclear attack on any country? “How will the government ensure that the planned deployment of a large space radar facility at North West Cape under the auspices of the US Joint Space Operations Center will not contribute to armed conflict in space and possible escalation into nuclear war? These striking warnings, from an experienced statesman, and an expert in nuclear conflict come in the wake of the saturation of 250,000 copies around Australia of the CEC’s June/July New Citizen newspaper under the banner headline: “British Crown’s End-game: Financial Collapse and Nuclear War”. In extraordinary detail, illustrated with maps of the subjects touched upon by Fraser and Tanter, this paper documented that the British-Obama policies of ballistic missile defence targeting Russia and China, combined with “regime change” in the Middle East riding roughshod over the principle of national sovereignty, have provoked both Russia and China to explicitly warn that they are being pushed into a nuclear confrontation. The paper also documents the foolhardy direction of Australia’s present defence policy, in support of the British-Obama agenda, which is almost guaranteed to provoke a war with China. AUSTRALIA passed 54 new anti-terrorism laws in the decade after the September 11, 2001, attacks, sometimes surpassing the scope of measures taken in the US, a study says. On average a new anti-terrorism statute passed nearly every seven weeks under the prime ministerial watch of John Howard, writes Professor George Williams, one of the nation’s leading constitutional lawyers. In the Rudd-Gillard Labor era, from November 2007 to September 11, 2011, only six anti-terrorism laws were passed. ”It would be unthinkable, if not constitutionally impossible, in nations such as the United States and Canada to restrict freedom of speech in the manner achieved by Australia’s 2005 sedition laws,” Professor Williams writes. Kiwi soldiers are being head-hunted to join the Australian Army with $250,000 cash bonuses. The hired guns are getting the lucrative sign-on fee, as well as fast-tracked citizenship, in a bid to boost Australia’s military ranks. But the move to recruit foreign “mercenaries” from New Zealand – and other countries including America, Germany, South Africa, Poland and Singapore – has angered veterans’ groups across the Ditch.